Rich black violet color. Fruity aromas and flavors of raspberry liqueur, sweet mint, watermelon candies, and pomegranate juice with a supple, bright, fruity medium body and a smooth, swift finish with accents of sweet cinnamon candies. A berry-forward zin in a crowd-pleasing style. Bottom Line: A berry-forward zin in a crowd-pleasing style. 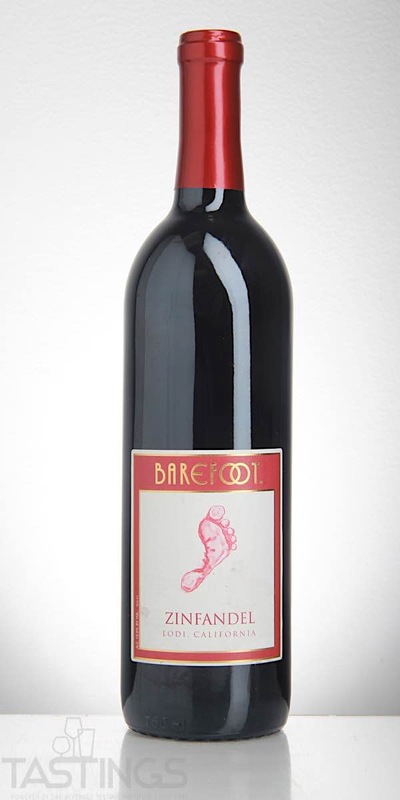 Barefoot NV Zinfandel, California rating was calculated by tastings.com to be 85 points out of 100 on 5/14/2018. Please note that MSRP may have changed since the date of our review.